Dr. Ksenya Shliakhtsitsava joined our team in July 2015 as a Clinical Research Fellow. She is a board certified pediatrician who is currently undergoing training in pediatric hematology/oncology at UC San Diego/Rady Children's Hospital. She is interested in studying late effects in pediatric cancer survivors and passionate about educating patients and families and helping survivors to adjust to life after cancer treatment. 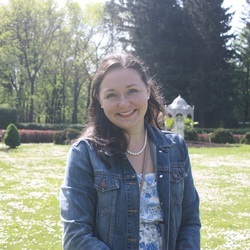 Dr. Ksenya completed medical education in Belarus, and after moving to the United States she completed residency training in pediatrics at UCSF-Fresno. In her spare time, Dr. Ksenya enjoys spending time with her husband and two children, traveling and reading.